Lay members of the diocese of Upper Shire took to the streets today in a demonstration calling for the removal of their bishop, the Rt. Rev. Brighton Malasa. 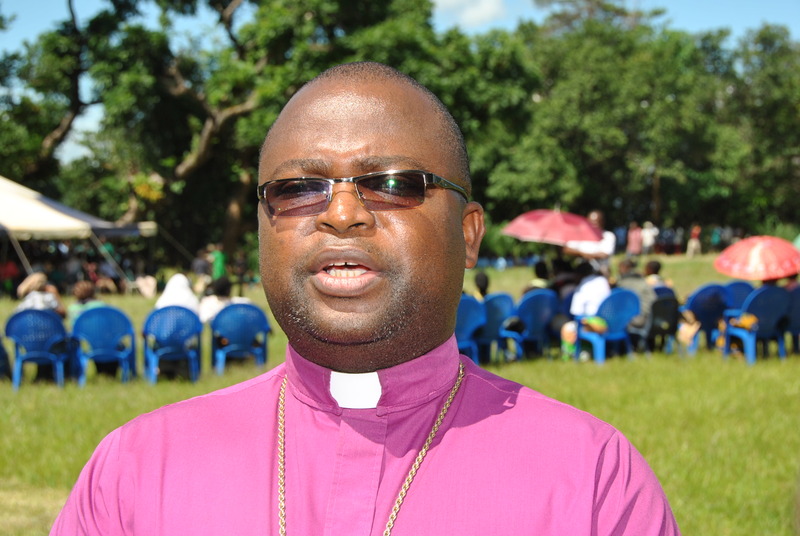 Last month a meeting of leaders from 37 of the 41 parishes in the Malawi diocese met at St George’s in Zomba issuing a call for the bishop to step. Local newspapers reported the charges leveled against the bishop — none of which have so far been confirmed by any tribunal or court — were financial, moral and political. The bishop has been accused of adultery and having children out of wedlock with women other than his wife. He has been accused of appointing cronies to senior positions in diocesan schools and hospitals, who then seek fees for preferential treatment in admissions and services. The lay leaders also accuse the bishop of diverting funds donated from overseas groups into his own pocket, while also involving himself in partisan party politics. The leaders pledged to withhold their monthly parish quota payments to the diocese until the bishop is relieved from office, and to forbid him from visiting their churches. The primate of the Church of the Province of Central Africa last week appointed the Bishop of Eastern Zambia, the Rt. Rev. William Mchombo, to mediate the dispute and a meeting had been scheduled for today. However, Bishop Mchombo asked the meeting be postponed to 6 Feb 2019. Lay Anglicans wearing shirts bearing slogans calling for the bishop’s removal gathered outside the diocesan office in Zomba, and upon learning of the delay vowed to blockade the building until the meeting took place. Local media report the police have been called in to disburse the protestors and protect Bishop Malasa.